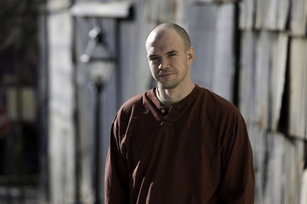 Tim DeChristopher caused consternation among oil executives and their US government cohorts in December 2008 when he won 14 bids at an auction of oil and gas leases in Utah – worth $1.8 million dollars – and then announced he had no intention of using or paying for them. It turned out he was a 28 year old economics student from Salt Lake University, who came to the auction to take direct action to keep fossil fuels in the ground in an area known for its natural beauty. 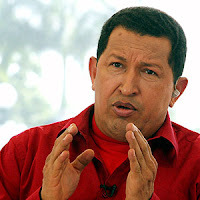 Hugo Chavez first raised the idea for establishing a new International association of socialist parties in 2007. In November 2009 he again raised the idea at a meeting of left-wing political parties that was held in Caracas. “Well, in truth I feel really strengthened by the way you and our Party shaped this modest document, these five lines, and now they return to me with a sixth line, which really was missing: the international line, a formation of some networks of Bolivarian circles, and different links, a network, a mesh of Latin American and Caribean organizations, of solidarity and political action, heading towards the creation of international structures, respecting the ones that already exist. Global capitalism faces a constellation of existential crises similar to those which collapsed every previous civilization. This terminal crisis will in the years to come bring about profound social, ecological and political upheavals. These and other world historic upheavals, in combination, point towards the end times of the 500-year-old civilisation we know as "global capitalism". The world's social, economic, political, ecological and ideological conditions are pushing the international left towards a single imperative: cooperate or become spectators to historic events. Either promote a Global Uniting, or see a socialist alternative perish along with capitalism. 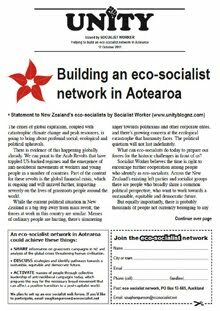 To organise sufficiently large-scale change, a qualitatively large number of eco-socialists must get beyond the idiocies of "left competition". And this must happen on a world scale, since only a Global Uniting will be able to save humanity from the catastrophes of collapsing capitalism. 'Beware! The end is nigh!' Why global capitalism is tipping towards collapse, and how we can act for a decent future. Two articles recently linked to on the UNITY Facebook page are worth reading. One is Sue Bradford’s criticism of the new “Pure Advantage” green marketing campaign and the government’s Green Growth paper: “Greed is good, as long as it's green”. The other was Nobel prize-winning economist Joseph E. Stiglitz’s article “The Ideological Crisis of Western Capitalism”. Both agree that free market “neo-liberal” capitalism has no answers to the crises we face, Stiglitz calls for state intervention in the economy to reduce inequality and encourage growth, while Bradford argues that even so-called “green growth” will make the ecological crisis worse. 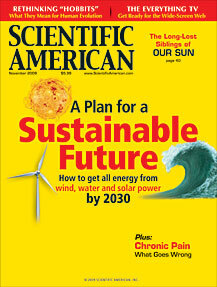 The contradiction between these two articles raise important questions for eco-socialists, especially those advocating some form of Green New Deal. Campaigners for the introduction of the Tobin tax (or Robin Hood tax) should be buoyed by preliminary findings of a review I've been working on that suggests levying a small tax, maybe 0.005%, on banks' and traders' transactions could raise billions of dollars a year worldwide. 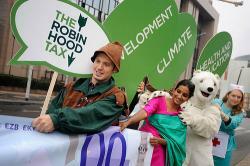 Many campaigners hope that revenue from such a tax could be used to fund global anti-poverty and climate change initiatives. This week the full research report is launched in Brussels, where European politicians have been calling for action on this issue, ahead of the publication of the EU impact assessment of such a tax. There is already substantial support for a Tobin tax among European leaders, including Nicolas Sarkozy and Angela Merkel. In 1978, the Nobel prize laureate in economics James Tobin proposed levying a small tax on all foreign exchange transactions to penalise short-term speculators but not long-term investors. Our research involved gathering as much of the existing evidence on such taxes as possible. Over the last 20 years theoretical models have attempted to explain how financial markets work and deduce what impact a Tobin tax could have on them. But we did not just look at models – as we have recently discovered at great cost, real financial markets do not necessarily behave the way theoretical models say they should. There is also a wealth of real data from around the world on the impact of raising transaction costs in financial markets. This substantial body of evidence contains good news for those campaigning for a Robin Hood tax (pdf). In its latest editorial, the NZ Medical Journal has called for GST off healthy food and higher benefits, according to the Herald. The good thing about this statement is that these doctors are looking at the wider social factors contributing to poor health among their patients, namely poverty and poor diet. This leads them to call for political changes like taking tax off “healthy” food and increasing benefits (a brave stand to take in the face of the current government’s beneficiary bashing). The catch is, they also say the retirement age should be raised to pay for this. But why should senior citizens pay this price? It’s not the cost of pensions or the pensioners themselves who have have forced up the price of food, increased unemployment, held down wages or cut benefits. Unfortunately these good doctors seem to be buying into the cut-back mentality that insists there just isn’t enough to go around. This simply isn’t true. There’s plenty of wealth in our society, much of it created by pensioners and those nearing retirement, throughout there working lives. The fundamental problem, underlying the affordability of food and unhealthy poverty is that this abundant wealth is concentrated in the hand of a few. A fairer way to fund taking GST off food and increasing benefits, would be to reverse the recent cuts to corporate and top bracket incomes and tax financial speculation. In Syria, since March 2011, 2,000 peaceful demonstrators have been killed, 6,000 injured, 8,000 are missing and 20,000 imprisoned. The Tax Justice petition will be presented to Parliament on Tuesday 16 August. The Labour MP for Mangere, Su'a William Sio, will be accepting the petition and presenting it to the House. That means we've only got a month left to push towards our goal of 50,000 signatures. We need to be busy. 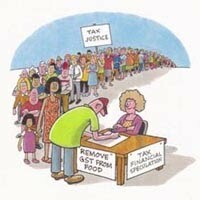 A copy of the Tax Justice petition can be downloaded here. Please print it off and collect more signatures through your networks. If you want to be part of teams collecting signatures in the last weeks of the campaign contact us ASAP, email vaughangunson@taxjustice.org.nz or ph/txt 021-0415 082. With the Labour Party expected to unveil a Capital Gains Tax as one of its campaign policies, taxing the rich more and giving tax relief to grassroots New Zealanders looks set to be an election issue. Our demands to remove GST from all food (not just fresh fruit and vegetables) and tax financial speculation instead, fits entirely with this debate. The Tax Justice campaign is well positioned to help shift the tax debate leftwards (see our latest media release). We've been advocating a broad coalition of parliamentary parties and campaigning organisations that works together to achieve a radical change to New Zealand's unjust tax system. Taking GST off food, which has broad popular support and could be done immediately, would undermine GST and create the political conditions for the eventual phasing out of this tax which hurts ordinary people most. A Financial Transaction Tax applied to at least financial markets would confront head-on the big players in global capitalism today. Winning the popular debate and implementing such a tax in New Zealand can only be achieved by a broad coalition of forces working together. And most likely as part of a wider political revolt in this country fueled by grassroots anger at worsening economic austerity, and inspired by waves of revolt globally. Because a Financial Transaction Tax targets the money flows of global capital, and because hyper-speculation is capitalism's last ditch profit strategy, opposition of powerful forces will be fierce. The struggle for Financial Transaction Taxes, both within national borders and internationally, will require and encourage a Global Uniting of grassroots forces. A broad coalition for tax justice in New Zealand would be part of an international struggle. 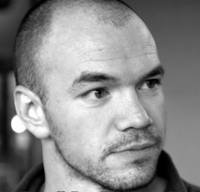 There are political opportunities and new forces emerging in New Zealand today. Exciting times! We need to work broadly together inside and outside of Parliament to turn policies on paper into a new reality. Tax Justice welcomes the national debate in response to speculation that Labour will campaign for a Capital Gains Tax. “The rich, and especially the super-rich, have not been paying the tax they should,” says Vaughan Gunson, Tax Justice campaign coordinator. “The advantages of a Financial Transaction Tax are that it’s difficult for the super-rich to avoid, it’s low cost to implement, and it’s very progressive, because it’s only the very rich who move their money around speculating in financial markets,” says Gunson. The Tax Justice campaign has been collecting signatures for a petition that requests Parliament to remove GST from all food and tax financial speculation instead. The petition will be presented to the Labour MP for Mangere, Su’a William Sio, on Tuesday 16 August. Mr Gunson says the fight for tax justice in this country would be best served by parliamentary parties on the left working together with unions and other campaigning organisations to build the political momentum needed to radically change New Zealand’s unjust tax system. “We know from collecting signatures on the street that people want to see the tax burden shifted off themselves and onto the super-rich,” says Gunson. 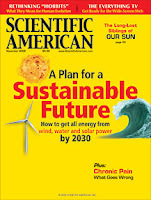 Such a plan is certainly achievable, and could be completed in twenty years, all that is missing is the political will. 4. The rest would be made up of 900 hydroelectric stations worldwide, 70 percent of which are already in place. David Harvey: Real Estate Saves Capitalism Then Bursts - China Next? Momentum is building for a Financial Transaction Tax (FTT) in Europe that targets banks, speculators and big corporates. See Europe Taking Lead on Speculations Tax (1 July 2011). The growing international profile of FTTs will open up space for the political debate in New Zealand, if there's a corresponding grassroots campaign in place. 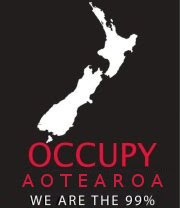 Unions, the Greens, Mana Party, the Alliance, 350.org, Oxfam, and other organisations, could together make this happen.